demand a copy of your loan certificates from Sallie Mae/Nellie Mae! 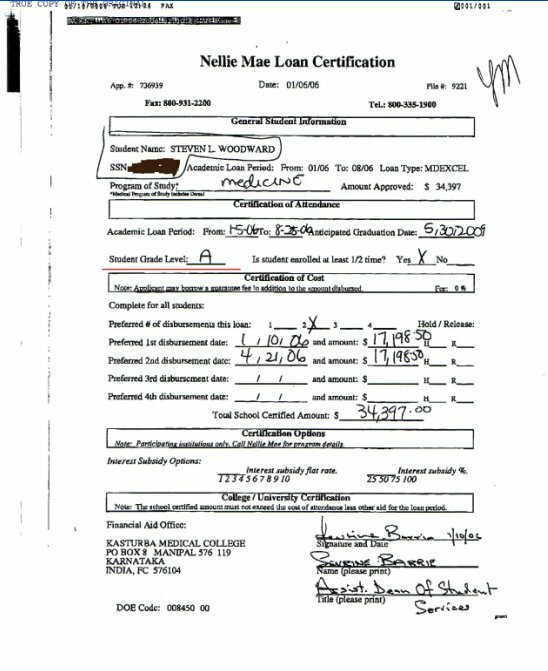 You might be paying student loans to a university you never attended! "I have researched your account and have confirmed that you have three Excel Grad Loans that are serviced by Sallie Mae. !!! I have never attended Kasturba Medical College !!! !!! I have never been to India, the location of Kasturba Medical College !!! Devin Hewit reviewed my case while I was defending myself in Federal Court against American University of Antigua. 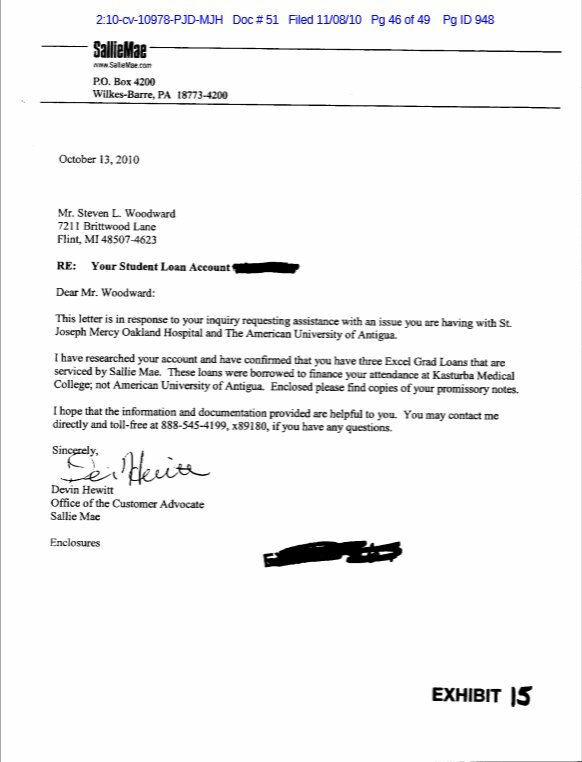 Sallie Mae refused to produce anymore information and closed my case! using Kasturba Medical College letterhead. without the knowledge of Sallie Mae/Nellie Mae or The Department of Education. concerning AUA's refusal to produce my medical and student records since 2010. 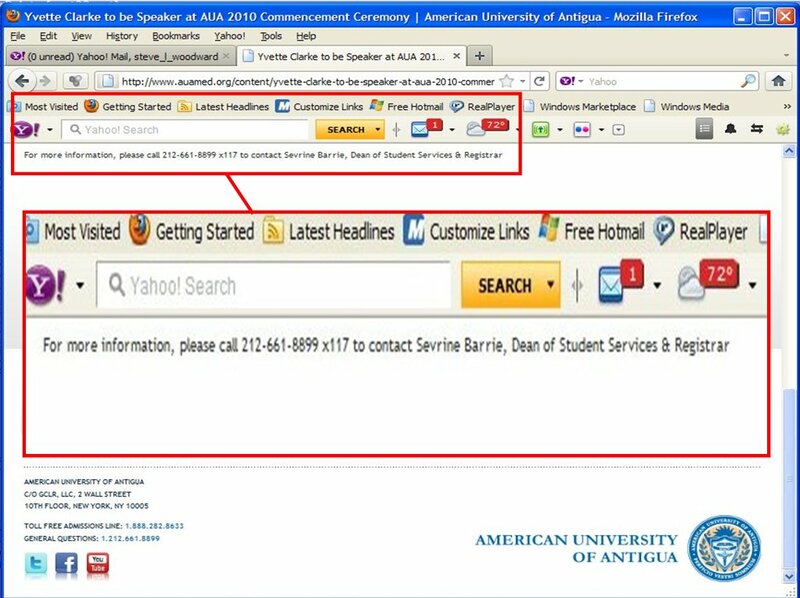 "You should try sending your request for your personal student records and medical records directly to the registrar's office of AUA. which does not cover the timeframe you've attended their University for the mandates of FERPA! Sallie Mae student loans are Federal Student Aid! students like myself would request financial aid. 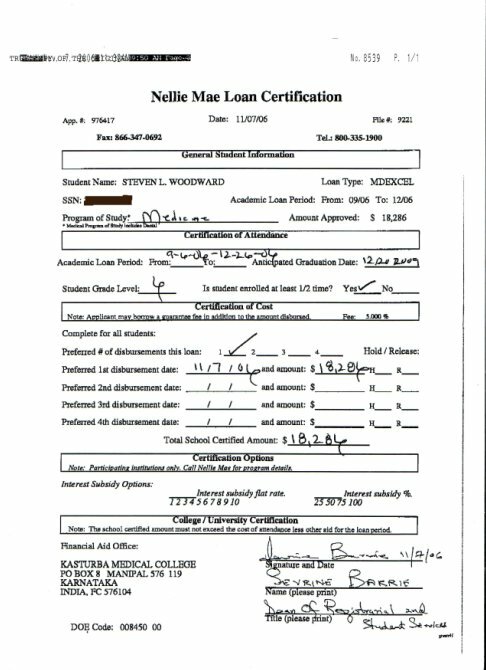 2.AUA's Registrar would sign and submit loan certificates to Sallie Mae/Nellie Mae using Kasturba Medical College letterhead. 3. 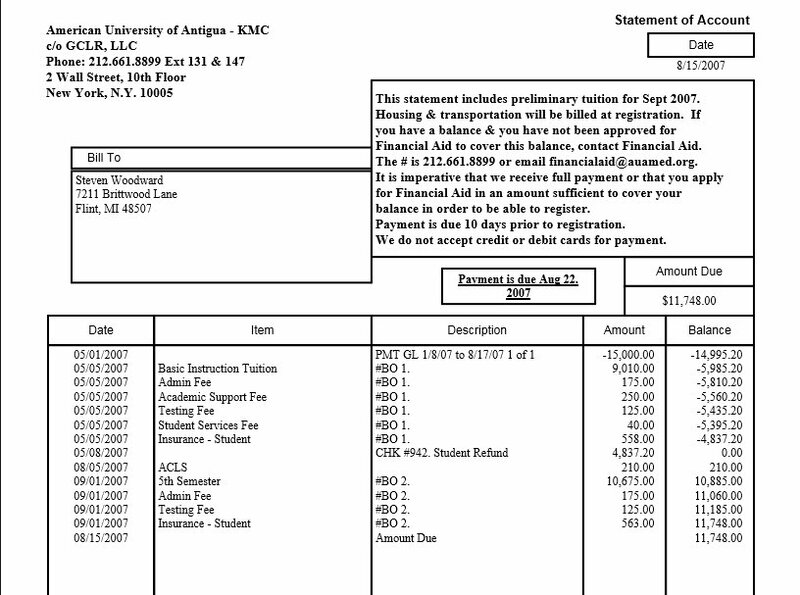 Sallie Mae would distribute funds intended for Kasturba Medical College to AUA's New York Office. 4. AUA's New York Offices would manage and distribute funds intended for Kasturba Medical College to AUA students to fund tuition at AUA. A university that discloses private student records or refuses to produce student record is suppose to be sanctioned and refused Federal Funding under Federal Law! borrow/pay $100,000's of dollars in tuition and spend years of their lives for an education! American University of Antigua disclosed student records! Bank Entries, Reports, and Transactions. Shall be fined not more than $1,000,000 or imprisoned not more than 30 years, or both..